As a country, we have enjoyed peace and tranquillity since independence in 1964. Through this peace, we, as a people have been able to build this country to be in a position to provide education, health and other socio-economic amenities in order to ensure that each and every citizen is able to live a life as foreseen by our forefathers. This is emphasised in our national values and principles highlighted in our constitution namely; morality and ethics; patriotism and national unity; democracy and constitutionalism; human dignity, equity, social justice, equality and non-discrimination; good governance and integrity; and sustainable development. We acknowledge the supremacy of god almighty and have declared the republic a christian nation while upholding a person’s right to freedom of conscience, belief or religion. It is saddening that the peace and tranquillity we have cherished this long is slowly being eroded because of a few unpatriotic citizens who have decided to involve themselves in criminal activities thereby endangering the lives and properties of many citizens. The means to secure their livelihood, which in most cases comes with a lot of sacrifices is slowly being compromised in the recent past. In the past few months, the country has experienced unexplained fire out breaks and vandalism of strategic installations bordering on economic sabotage. This was followed by a similar act where citizens and industries serviced by the Kafue west – Lusaka west line were affected by the destruction of the zesco pylons. Just yesterday, Lusaka city market, the country’s largest market was gutted and property worth millions of Kwacha was destroyed. Simultaneously, a fire erupted at Lusaka’s misisi township market whose target it would seem, was to damage the zesco pylons. You will appreciate that the recent gutting of markets will have untold misery on the poor traders and their families whose livelihoods is largely dependant on the existence of the market. This therefore calls for government to formulate intervening measures to alleviate their suffering. I wish to announce that a committee of ministers has been formed to be chaired by the vice-president which in due course will provide details on the form and nature of assistance that will be provided to those affected. Apart from the Lusaka city market, I have also requested the committee to superintend over the rebuilding of the markets that have been affected in a similar nature. I, therefore, call upon the business community, all well-meaning zambians and residents to support this initiative in whatever form practical. In order to ensure transparency and accountability, all forms of support financial, material or otherwise will be coordinated through the vice-president’s office of which details will be published shortly. These events are not mere acts of spontaneous criminality but premeditated acts which if left unchecked could have serious socio-economic consequences capable of drawing the country backwards. As government, you the people have given us the mandate to preside over the affairs of this nation. Therefore, it is our duty to ensure that each and every person in this country enjoys the freedom and protection as enshrined in our constitution. This is not an easy decision to make, but in order to preserve peace, tranquillity, safety of our citizens and national security, we had no choice but to take this decision given the events that have occurred in the recent past. The primary responsibility of government is to protect life and property in our nation. I wish to emphasise that all law abiding citizens will not be impacted by this decision and should continue to go about their daily routines normally. I will ensure that the measures to be taken under this proclaimation will not inconvenience law abiding citizens. Therefore, this proclaimation should not instil fear among our citizens but instead provide a sense of comfort and security. In conclusion, I appeal to all citizens and the business community to cooperate with government as this proclaimation takes effect. Wrong move ECL. This is going to create mistrust amongst Zambians. I hope parliament throws this out. As for you PF, you have just lost your chance to govern again post 2021. Zambia needs a brave, caring, upright and someone who can give direction. What is going to happen is that some media platforms will be closed; Zambians will be locked up without trial; monies will be diverted to security; there will be no human rights in zambia and some Zambians will disappear without trace. This could also lead to elections not being held in 2021. In short, this is a dictatorship in disguise. As for you PF, you have just lost your chance to govern again post 2021. Zambia needs a brave, caring, upright and someone who can give direction. Threats will not stop these amoebas! Charge them with high Treason. They are worse that HH! Your Excellency President E.C Lungu, we are with you in best national interest. it is our patriotic duty to stand up against any act of subversion, arson and sabotage. These are heinous crimes of terror directed on the public we cannot insulate. The criminals behind this wave of terror are no different Timothy McVeigh the local terrorist that boomed Oklahoma Federal building in 1995. The US responded by executing him as a misfit of society. Let’s add these crimes into non pardonable crimes category. Otherwise, we risk local terrorists market thriving unabated. These cowardly acts of bombing, burning, subverting and terrorizing innocent Zambians cannot be defended by and rational mind. They are acts of terrorism that must be purged immediately with precision. How does a normal person defend bombers of markets, water pipelines, electric systems and any vital national asset? These are acts of terrorism that do not fly with solidarity in a contemporary society. F00lish has declared state of emergency as a cover to ldisregard due process and govern by decree. Most f00lish PF cadres do not understand what this means. They are just celebrating any nonsense Lungu comes up with in an effort destroy democracy in Zambia. Very soon Lungu will use the powers he has given himself to settle scores against any one he sees as a threat. I mean any one. Mostly PF guys will be in trouble. Anyone who wants to win favours from Lungu will just go to Lungu and lie about the fellow PF member so that Lungu can fire them and arrest them. This is what happens when you steal an election. Why declare an emergency. Even when captain Solo was on radio saying he had taken over, we never declared an emergency. If anything you should fire all the heads of security wings because they have failed to protect the country! Oh I forgot they know something about how PF won the last election! Not to mention they went and arrested an opposition leader who has almost 50% following of the electorate without any prior investigation! What was that about. Last bit not the least, the Zambian God is an honest God, a god for all Zambians, if PF won the election through fraud, then you won’t be in power for long. So many fires have been happened in Zambia under PF and no one has been arrested so far. The fact that no one has been arrested means one thing only and that is it s PF behind these fires so that Lungu could introduce a state of emergency. I have said it before, propping up a dictator is a very dangerous move because even those who feel that they are close to Lungu should now tread very carefully because the man has given himself more powers do anything he pleases without fear or accountability. Listen to this id10t of a president saying to protect life, when he has sent his PF thugs to butcher morners at the grave yards. Lungu will die like a dog very soon! ………. This is where I miss Sata MHSRP, he did not hold on to election grudges this long, he loved Zambia and it showed. PF are the supporters of these fires in Zambia just to blame UPND. We know these old tricks. Lungu should not be voted for come 2021. He has failed and is not a good leader. He has killed democracy in Zambia, let PF have another candidate enough nonsense with this man and his MMD ministers. Guys stop insulting Edgar, if he is president or not just stop. What wrong has Edgar done, except allowing himself ukumubelesha by his own workers? Stop insulting him. This is really sad. If at all that fire was a result of arson, what is the duty of the police? Any way Zambians are used to be treated like babies. Thus, most of them will accept that stupidity without questioning. Already one has alluded to the Timothy McVeigh’s case as an example. This is a bad analogy. Did what happened in Zambia be compared to that act of terrorism in Oklahoma? The Zambian incidence does not warranty a declaration of state emergency. Chisenga, this is dictatorship. Those of us who were sensible enough during Kk’s time know where this will lead to. ECL needs to be ready to kiss bye to State House. social media have never live under a Police State…I could be picked up by Police if I was in the country for this for no reason for posting anything. What is up now, we have state of emergency, and to a certain extent, it’s everyone will be affected, unfortunately. I see want to see the smiles of those people who were vehemently defending the fact that there was no tension everything is okay and enjoying peace. As expected, ECL moves on as anticipated on the march to destroy Zambia. How did fate enable this shoddy man to disable the future of this country? Folks the rumour has already started circulating that one PF cadres involved in setting the market alight is angry because the money promised to them has not been given apart from being taken for a drink by Mumbi Phiri. This PF cadre by the name of Muzo is threatening to spill the beans if he is not given the full amount of money. Each one was promised K500,000. Munzanvelako in the coming days. They say there is no honour amongst criminals! GREAT, GREAT, GREAT. THIS IS A GREAT DECISION, THOUGH UNDERSTANDABLY DIFFICULT ONE. THAT’S WHY THAT LAW IS THERE- IT’S TO USE IT WHEN PEOPLE ARE TAKING HATE, BITTERNESS AND TRIBALISM TO ANOTHER LEVEL. WE CAN’T FAULT YOU ON THIS STEP YOU HAVE TAKEN, ECL. BAYA SANA, ABA BANTU. BALEFWAYO KUTEKE CALO, “KUMUNGA WE FWAFWA”. LET ALL THE SECURITY WINGS INVESTIGATE EVERYTHING WITHOUT LEAVING ANY STONE UN-TURNED. THIS HAS BEEN LONG OVER DUE. SOME OF THESE PEOPLE DON’T LOVE THEIR COUNTRY. IF THEY DID THEY WOULDN’T HAVE BEEN PUTTING THEIR PERSONALINTERESTS IN FRONT, RATHER THAN THE COUNTRY AND THE ZAMBIAN PEOPLE. I HOPE THAT WITHIN THE STATE OF EMMERGENCY PERIOD THE PERPETRATORS ARE ARRESTED, CHARGED AND POSSIBLY SENTENCED. “MWIKALA PATALALA…”. STATE OF EMERGENCY dictatorship by a Visionless lungu is taking the country 30 years behind. Hoo my God Edgar is so weak. He has failed to instill discipline again? No wonder he is getting insulted. As a speech writer I can see that this little piece has been sitting on the shelf waiting for its grand outing…. Sad, when you compare the real issues that cause other countries to declare a state of emergency. Goodbye IMF bail out. WHAT DOES A STATE OF EMERGENCY MEAN? A situation of natural danger in which a government suspends normal constitutional procedures in order to introduces special measures such as increased powers for police or army , usually because of civil disorder or because of a natural disaster such as an earthquake. 2.suspend freedom of movement after certain hours e.g from 18hrs-8hrs no one is allowed to move .All should be indoors-if found you are arrested and at times remain in custody up the time it ends. 4. Government suspends parliamentary sittings. 5.Mult-national corporations like shoprite with shifts for workers will have to suspend some workers to allow for a short shift and this is not sustainable for the supermarket. 6.Mines have reduced production of copper and lay off some workers meaning some shifts are cancelled to reduce costs workers sent back home. 8.Bus operators have to park buses by 17hrs if curfew begins at 17/18hrs meaning reduced salary. 9.No taxi pirating at night meaning increased hunger. 10.No bars or night clubs open meaning workers have to be laid off during the state of emergency meaning no salary. 11. Government may command all Telecommunication companies to switch off their internet facility meaning no whatsapp, no facebook, no emails sent etc. 12.Private media houses will be closed during this period meaning no salaries for workers. 13. All trucks must be parked from 18-8hrs meaning slow deliveries resulting in losses and drivers are told to stay home by truck owners for their security. 14. President abuses his power and allows police to arrest people on mere suspicion . Article 31 was proclaimed by UPNDonkeys but only the President of Zambia, His Excellency Mr Edgar Chagwa Lungu, has power and authority to put it into effect. Remember that it was your choice, and that choice will come with restrictions and measures. So you see, UPNDonkeys, there is a President of Zambia after all. If you donkeys want Article 31 to be revoked, you have to ask the President. If you don’t, there may be less court appearances fir those who enjoy court. And take it from me, UPNDonkeys, the government has the full support of the international community. You will not hear any government anywhere in the world speak against our government, similar to their stand on the 2016 elections. Telesphore Mpundu, you are a great prophet! How you foresaw this ominous event coming beats my foot! You advised these bruts, who appear to have a vacuum between their two ears, but they never listened. Now they are standing on quicksand! what a bunch of jokers we have entrusted the fate of our beautiful nation of Zambia, Cry My beloved Country! Yes, because he did everything possible to precipitate this action – go ahead celebrate him. THIS CALLS FOR SERIOUS INTROSPECTION. I THINK WE NEED A STATE OF EMERGENCY RIGHT NOW. IT IS PROVIDED FOR BY THE CONSTITUTION AND THE FRAMERS OF THE CONSTITUTION WERE NOT FOOLISH WHEN THEY DID THAT. I SUPPORT A STATE OF EMERGENCY BECAUSE OUR CURRENT CROP OF SECURITY WINGS ARE A DISAPPOINTMENT TO SAY THE LEAST. THE POLICE, THE OP, ARE ALL A GROUP OF PEOPLE WHO ARE ILLITERATE OR LESS EDUCATED. WE ARE LIVING IN A COMPLICATED WORLD RIGHT NOW. UPND IS HAVING A FIELD DAY RIGHT NOW BECAUSE OUR POLICE DO NOT KNOW WHAT THEY ARE DOING. SOMEONE CAN STEAL , INSULT AND COMMIT CRIMES, BUT AS LONG AS THEY ARE CLEVER IN MANIPULATING THE LAW, THEY WILL GO SCOT FREE. SO THE FIRST THING WE NEED TO DO IS EMPLOY GRADUATES AS POLICEMEN. NOT ILLITERATE CADRES. A market gets gutted then a state of emergency, this guy and all his advisers really smoke a lot of weed. Just compensate the traders and rebuild the market. Trying to be tough when there is nothing to be tough about. If this is how you react when your minsters or government officials steal public funds, I bet this country would have made tremendous progress. When reporters asked him a few days ago about tension in the country the lazy foool laughed off as he was boarding his aircraft on the tarmac..today he sees an opportunity starts talking about individuals planning to cause disruption and starts talking about fires from last year. This is what happens when you are too lazy and the job is too big for you. So you UPNDonkeys, what response did you expect to the armageddon declared by underfive donkey? That you continue burning markets and electricity infrastructure and destroy people’s livelihoods huh? You have to be donkeys if you think that you can attack us Zambians and we will allow our government to sit idly by! If anyone doubted that UPND are donkeys, here is the proof, look at their comments. Actually I thought that even donkeys do possess a little reasoning, even just an ounce, but boy, am I surprised and shocked! Am with you an I salute though am a non partisan but I suffer the consequences. Am with you terrible an I salute though am a non partisan but I suffer the consequences. Very verge speech. No substance. The parliament should pass something with more detail other wise the police will unleash brutality with no mercy. The president at one time said the situation was ok in the country. That being the case why is he trying to activate some SI? Do you understand English? You have just said, “The president at one time said the situation was ok in the country”. Its supposed to be, “The president just recently said the situation was ok in the country”. Kwacha will crash down tomorrow. I predict by 20% at least. Investment will be tight, and good luck to your bellies because that hyperinflation looming…. Let kwacha drop. I buy land for cheap. Start investing while they figure out that a dictator is in control. Shame on a small democracy. Lets not complain about Trump and stay where we are. Zambia has gone to the dogs. We have a leadership crisis in Zambia. How can the whole with the resources at their disposal, Army, ZAF, Paramilitary, ZP, OP etc., fail to arrest arsonists? You can ask FBI to help you close Zambian Watchdog, but fail to ask for help when people are burning sensitive property down? ZAF were used as a campaign tool by lungu for the elections…..
His insecurity and wish to be recognized even when he knows he stole an election has brought us to this. Lungu will be the first SADC president to be assassinated, mark my word! Enough of this clueless stup’id F.00l is enough. He won the election get over it. Anyone who doesn’t not support this declaration of state of emergency has their head in the sand. When treasonous acts are being perpetrated with such impunity, the govt has no choice. Who can rejoice in the destruction of property at such a high rate in a small economy like Zambia. Think of the millions lost and what will be spent to rectify these cowardly destruction of property. If upnd supporters are behind this they have just put the last nail on his coffin to become president. Now in addition to the tribalist label his party has earned another label of being unpatriotic. All that will happen because of one evil HH! !if he conceaded defeat after losing 2016 elections the way Great Michael Sata used to do,we could have not faced this hell.HH’s desperation for state house has brought more harm than good to mother Zambia!! HH declared himself as 2016 winner way before we even voted. SO BLAME HH FOR THE HELL WE ARE FACING TODAY IN ZAMBIA. just look at the thinking of his tribal supporters using bemba names( @Mulenga)?this is how all bantustan upnd supporters think.they cry about lost 2016 elections day and night.for them 2016 elections were first and last in Zambia which HH should have won by all costs!! NOW WITH SUCH DIE HARD TRIBAL SUPPORTERS,WHAT CAN PF GOVNT DO? only to declare a state of emergency than risk our country being burnt by these tribal terrorists hiding in upnd!! We never had this before elections. UPND looked for a moment like this one when Zambia is ungovernable. Mwanya mafi yambushi. You will never rule this country. I’m sure your HH is very happy that yes guys burn these institutions. Mwanya God will prevail over mother Zambia. I agree with Lombe, if the police have failed let the army, zaf and ZNS do the patrols that’s why they are there and it doesn’t mean if they are trained for war they can’t combat local crime..and mind you Amilcar Cabral when the ritual murderers were at their peak the army was called upon to do the patrols..let’s not leave everything to the police alone when other security forces are just drinking duty free beers at their messes..
First of all @Chisenga, authorities are not established by God. That kind of irrelevant thinking is what gives fodder to dictators or creates them. Secondly, yesterday I pointed out that there should be no knee jerk reactions over the incidents. Due investigative process should be instituted and proper evidence adduced – then conclusions made. People have lost their livelihoods and that is sad. But these incidents are not enough to propose that a threatened emergency be put in place. The problem is that institutions bestowed with the protection of rights, provision of service and security responsibilities have either stopped working or are so corruptly compromised that they only react, albeit in panic when something happens. They are always busy pursuing the wrong things. Believe you me,once some few criminals are arrested,upnd will be exposed and embarrassed and that would mark the end of upnd!! Upnd’s love for HH than mother Zambia has caused of these.but am pretty sure that soon or later,HH and his die hard tribal supporters shall cry terribly! !days are numbered for upnd’s arsonists as tears of those poor marketeers cannot dry unpunished by God!! Mr. President, KK knew how to deal with people like UPND. I know you too know! We are behind you, Sir! They are losers and will lose Hagain! Thank you for consolidating the “Guilty verdict!” It started soon after elections, trying to make this peaceful country ungovernable! It was proceeded by stealing of privatization funds. Now get the Namwala boys behind bars too! But we are still waiting the arrest of the bweengwa kidnappers. What happened to that story ?.. Some so called educated, political i.d.ts are once more letting down the people of Zambia. After three smooth transitions this should not have been anywhere necessary. If tribal inclinations can make it so hard for some people to uphold even the littlest of democratic tenets we should as well have allowed KK to prevail. Suffice to say it’s not the villager in places like shangombo or kaputa who should be blamed for much of the African tragedy but much so those who boast of having traversed the globe. I got nothing against Lungu but I detest dictators. The guy who has no substance is behind bars. Also, authorities are established by God and they are there to punish errant people too! Stay on course Mr. President, we know who are responsible. Please it is time to interview members of those who watch dogs in Zambia. They are on this blog too. Bwana Lungu is setting Zambia ablaze with autocratic rule ,abuse of power and draconian measures for a country that is not at war.Really sad . Its shocking Edgar Chagwa Lungu has failed to declare a state of emergency after days of breathing hot air. In Chewa we say “Tiwone chatsidza zaye mu mtengo kuti njovu ithyoke ny’anga”. Numerating fire events and associating them to certain groups of people be it PF or UPND will not solve the on going issues in the nation. The Chewa adage insist on finding the ROOT CAUSE to prescribe the cure. @31, obviously you are dull even by UPNDonkey standards! As I go to bed let me leave you with a few thoughts that I told you about last year regarding the expired UPNDonkey petition. These donkeys did not have any evidence of rigging, it was just a cover for their main objective of their petition, which was to remove the legitimate President by insisting on the Speaker taking over. If they had succeeded their objective was to weaken the state so that a state of emergency could not be declared while they implemented their armageddon plan and take over the government. Why else do you think that they were so bitter (up to this day) when they did not manage to put aside the Presidency? Now you know why the constitution does not eady removal if the President, it is for national security reasons like this situation. We are still waiting for the arrests and prosecutions of the highly trained UPND commandos we were told had kidnapped GRZ and PF officials in bweengwa. This STATE OF EMERGENCY (S.E) necessary as it may look RAISES MANY QUESTIONS! We have NOT SUFFICIENT EFFORTS PUT INTO INVESTIGATING AND PREVENTING THESE UNFORTUNATE INCIDENTS FROM RECURRING, SO HOW WILL THE S.E SOLVE THE SITUATION? Lungu himself catalogued the number of fires and sabotage to infrastructure and a few suspects arrested, but we HAVE NOT HEARD OF THE OUT COME OF FURTHER INVESTIGATIONS AFTER THE REST with MORE SUSPECTS ARRESTED AND A PROPER CASE CONSTRUCTED TO PUT AN END TO ALL THIS. I am NEITHER UPND nor PF, I am ZAMBIAN and I believe this S.E may just lead to HUMAN RIGHTS ABUSES, EROSION OF DEMOCRACY and MORE DAMAGE TO STATE INSTITUTIONS. SECURITY WINGS HAVE NOT DONE THE JOB- FINISH, NOT THIS S.E!! Bwafya pa Zed with accidental President. If you are not guilty do not blame ECL, but if you are, blame him for all you want, because the functioning of your brain is questionable. *****s u-unpatriotic,p-pigs,n-nonsense, d-dependants fools bana ba maimbwa you think we are happy. Useless thieves . They have been gunning for a state f emergence from when they realised not many people will accept lungu after he stole the elections. You have arrested a few people, tell us about what the investigations have found or will we be waiting lie the bweengwa kidnapping saga ?.. Is this a calculated move by the PF? How is the National Assembly expected to approve or disapprove this so called article 31(2) ; when the entire opposition is suspended by one, the speaker of Parliament. There are more questions than answers !. Democracy is FREEDOM, and if there is no FREEDOM , there is NO democracy. The moment we become a fully pledged DEMOCRACY, everyone from the President to the last man in our society will be FREE. It’s that easy, IT’S NOT CALCULUS OR ROCKET SCIENCE!!!!!!!!! 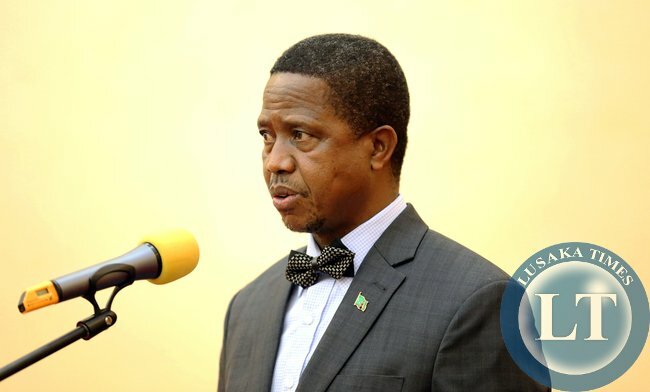 Lungu and PF can not function in a normal democracy, they leave too many unanswered questions they would rather bury……..as a clue to their fear of answering questions that comes with a democratic government, lungu or any of his representatives have never given a press conference with free press. state of emergency mwaponoka wapya ba isa . I THOUGHT THIS WERE A STATE OF EMMERGENCY AFTER READING THE HEADING FROM ANOTHER ELECTRONIC PAPER: “President Lungu Declares State Of Emergency”, (https://zambiareports.com/2017/07/05/president-lungu-declares-state-emergency/). AT THIS POINT IN TIME ZAMBIA NEEDS A STATE OF EMMERGENCY IN PLACE. ALL THESE ACTS ARE ACTS OF TERRORISM. Surprise surprise even by UPNDonkey standards! Now anarchy is the same as democracy! Good for the foolish PF cadres now they will have their little freedoms taken away. Now 1800hrs all of you get out of the streets go to sleep, while us in diaspora can go out any time we like and jump on the bus any time we like. The dictator you were celebrating about is busy taking your freedoms one by one pretty soon you will only be allowed to go to the toilet once that is what dictators do “Take away your liberties”. ….. Even the likes of VJ and those upnd “professors” must be thoroughly disgusted with the leadership of UPNDonkey party, especially after the coming of Gbm. U5 gets locked up for failing to assert his leadership over Gbm, but he is the “leader” that we know so he takes the flak. As for Mutinta, she must now accept the inevitable fact that her U5 husband is not coming home anytime soon. And all because of her “mulamu” Gbm…. misleading her husband that power is easy to gain without being elected. Time to withdraw everything from your Zambian bank accounts! Your ATMs may be blocked. A SOE is costly! Prepare for the worst economy ever! This is what irresponsible voting leads to – Maloza! Most Zambians depend too much on kachepa. com, we have not yet been furnished with details on what transpired in that market by the fire department, but already people are calling it sabotage, arson, let’s wait for official investigations bane. Excellent move that ECL has made. These fools who are taking law in their handle will be dealt with. HH and GBM are the most useless leaders in Zambia.